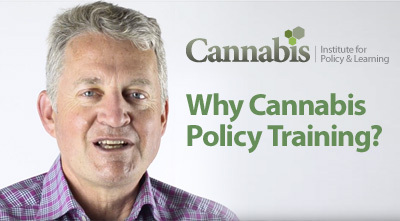 The Cannabis Institute for Policy and Learning was created to help government, corporations and non-government organizations adapt to the rapidly shifting landscape that is emerging with the legalization of cannabis. Grounded in research, our expert leaders offer courses, consulting services and products to provide guidance through the emerging challenges and liabilities in the workplace. The data shows that most workplaces have not yet implemented policies of accommodation for medical cannabis. Now that recreational cannabis is about to be legalized, it adds an additional set of cultural, policy and legal issues into the mix. The Institute provides expertise, context and research to help you mitigate risk to yourself and your organization. We accomplish this by teasing out the evidence-based truths from the tangled mass of information so that you can see past the confusion and get confidently to a new normal. David Goldsmith, Chief Operating Officer, Cannabis Institute for Policy & Learning, outlines why organizations need to familiarize themselves with the new cannabis legislation to avoid costly challenges and to increase engagement.